Dr. Paul Boswell (Bethel '03) earned a Ph.D. in Analytical Chemistry from the University of Minnesota in 2008. Subsequently, he received an NIH grant and led a research group at the UMN. Seeing chemists and biologists struggle with limited computer programming skillswas part of his inspiration to design a game to teach how computers work. 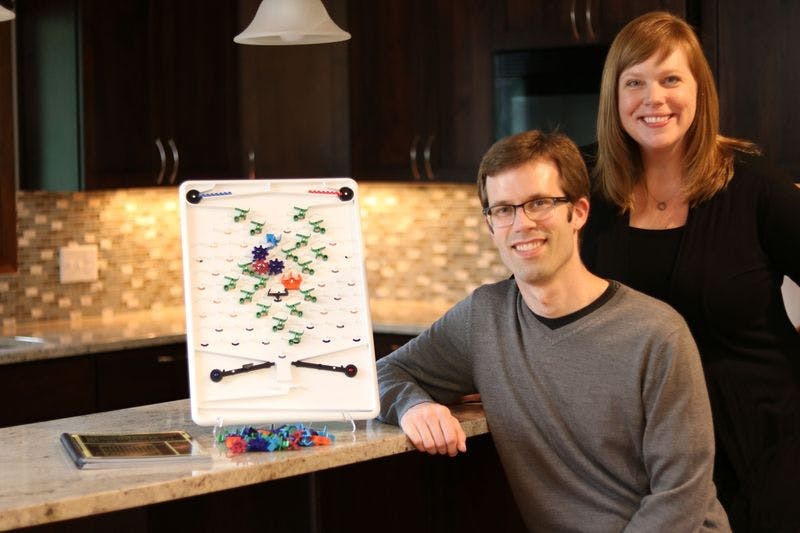 In 2017, Paul and his wife Alyssa ('03 S'10) presented Turing Tumble, which teaches binary operations using marbles, gravity, and carefully designed switches. Demonstrating masterful use of online technology, Paul and Alyssa raised over $400k on Kickstarter and successfully manufactured and distributed the game, while providing intriguing online updates to enthusiastic fans. Turing Tumble has received numerous awards from toy and game organizations, as well as attention from major news outlets such as Popular Mechanics. 7 p.m. | Keynote: "A Road Less Traveled: Analytical Chemist to Game Designer"
Contact Joyce Ramsey at j-ramsey@bethel.edu or 651.638.6289.